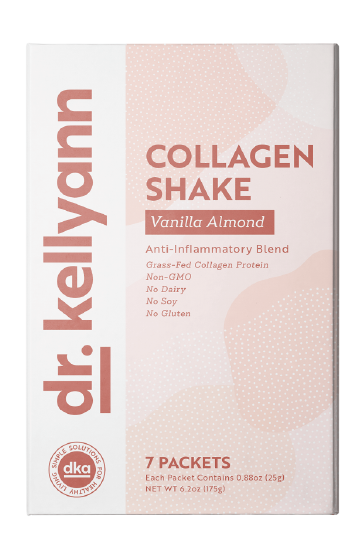 My team and I are excited to announce that our Collagen Chocolate and Vanilla Shakes are now available in over 3,000 CVS Stores across the United States! Check out the store locator on my site to find the one closest to you. But that's not all... 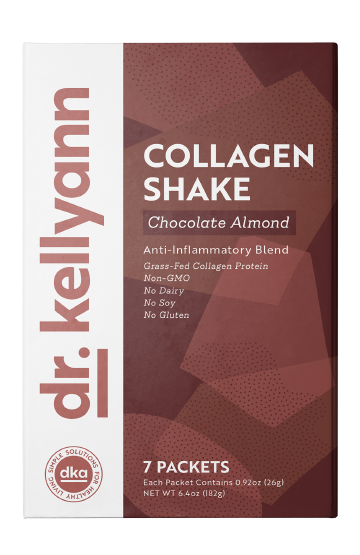 The Collagen Chocolate and Vanilla shakes have had a transformation of their own! Be one of the first to take home our new packaging and we'll give you a FREE gift! Our Shakes Just Made A Transformation! Here at Dr. Kellyann we believe that beauty is all about how you feel from the inside out. We needed something fresh, bold, and category-defying. So, we partnered with Kristine Arth, the Founder and Principal Designer of Lobster Phone, who created a design that would draw out those exact emotions. Inspired by beauty brands, our new designs communicate that the contents not only taste delicious, but also make you look and feel beautiful from the inside out. Join us in celebrating the debut of our recent transformation in a CVS near you! We are offering a FREE $20 OFF Coupon to our online store, with the purchase of any of our products at your local CVS. Simply follow the steps below to receive your FREE GIFT! Use our store locator to find the nearest CVS carrying our products. Purchase any of our collagen products, and save your receipt for a free gift. Fill out the form below, and we'll send your gift right away!